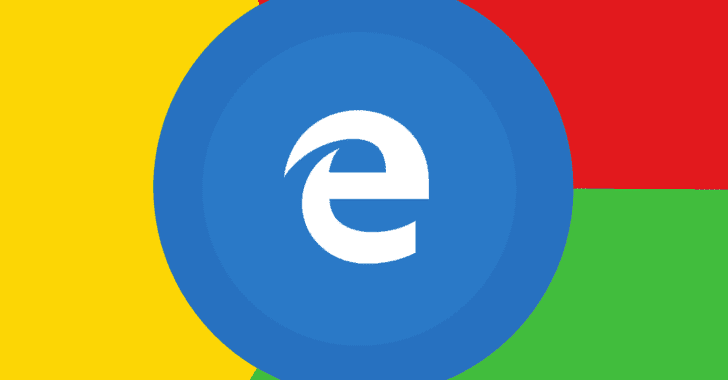 It is no secret how miserably Microsoft's 3-year-old Edge web browser has failed to compete against Google Chrome despite substantial investment and continuous improvements. According to the latest round of tech rumors, Microsoft has given up on Edge and reportedly building a new Chromium-based web browser, dubbed project codename "Anaheim" internally, that will replace Edge on Windows 10 operating system as its new default browser, a journalist at WindowsCentral learned. Though there is no mention of Project Anaheim on the Microsoft website as of now (except Anaheim Convention Center at California), many speculate that the new built-in browser could appear in the 19H1 development cycle of Microsoft's Insider Preview program. According to the report, the new browser will be powered by Blink rendering engine used by Chromium, one that also powers Google's Chrome browser, instead of Microsoft's own EdgeHTML engine. "It’s unknown at this time if Anaheim will use the Edge brand or a new brand, or if the user interface between Edge and Anaheim is different. One thing is for sure, however; EdgeHTML is dead," the report said. Details on Microsoft's new Anaheim web browser are still scarce, and we are waiting to hear more about the project from Microsoft itself, but Windows Central speculates that we could see the new browser in action as early as April of next year. If the rumor is true, Google who celebrated the 10th anniversary of its Chrome web browser this year will gain an unbeatable monopoly in the browser market.